Cape Gooseberry Physalis Peruviana is a herbaceous, short-lived perennial that is often grown as an annual, and this plant is native to tropical South America. It is best to start Cape Gooseberry seeds indoors 6-8 weeks before last frost. Also called Goldenberry and Peruvian Ground Cherry this small shrub is similar to the common tomato. The plant is grown in home gardens not only for its decorative qualities, but as a useful small crop. Cape Gooseberry grows up to 2 feet blooming with potato-like flowers and eventually producing golden-colored berries that are similar in texture to a firm tomato. Cape Gooseberry is often grown in pots and containers. 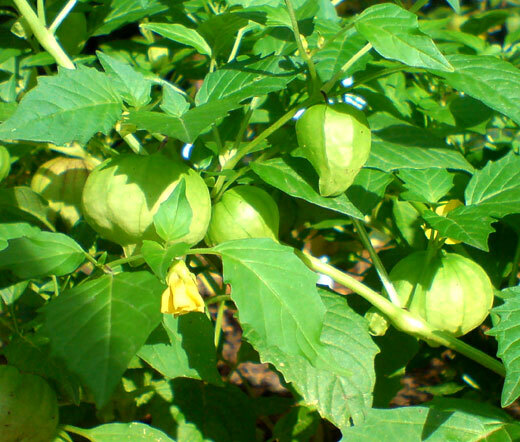 Physalis Peruviana seeds have to be kept moist until germination, and the established Goldenberry grows best in full sun or partial shade, and it is extremely adaptable to the various types of soil, but the plant does not tolerate very wet conditions, so the soil must be well drained. The fruits of Cape Gooseberry has the unique pineapple-like flavor and great for making jams and jellies. The fruits can be eaten raw or used in salads, desserts and even can be dried and eaten as any other common dried fruits. Physalis Peruviana is also a medicinal herb and its fruits high in vitamins A, B and C, protein, phosphorous and iron.